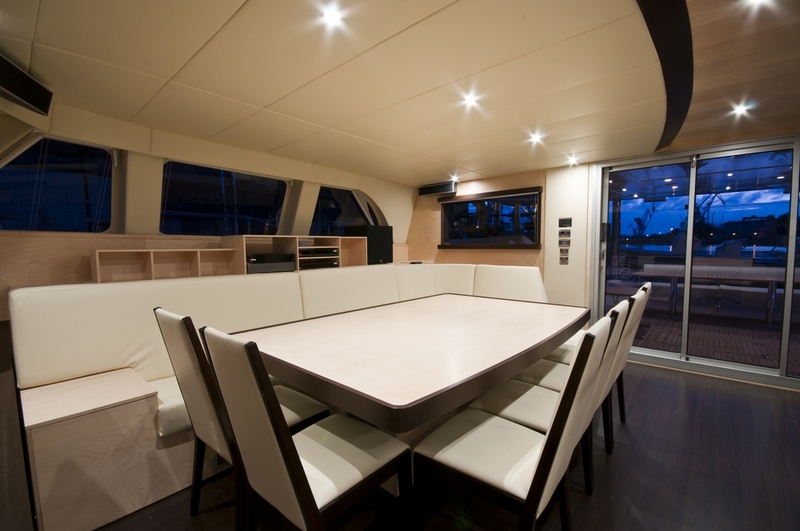 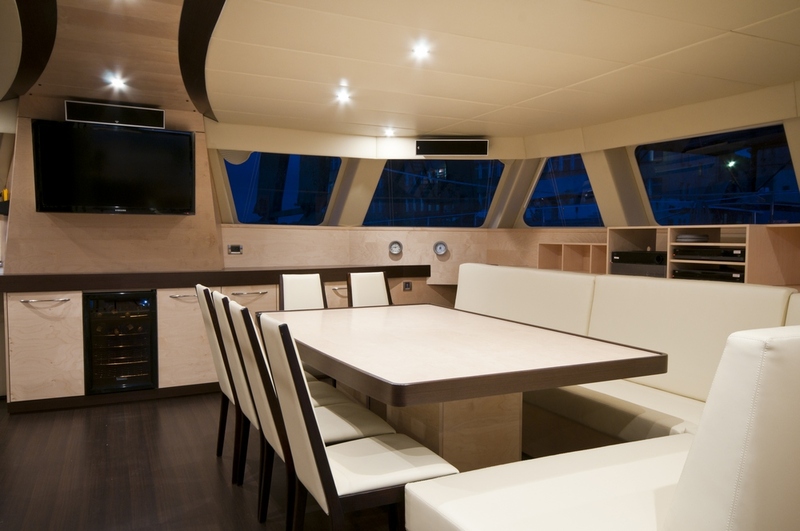 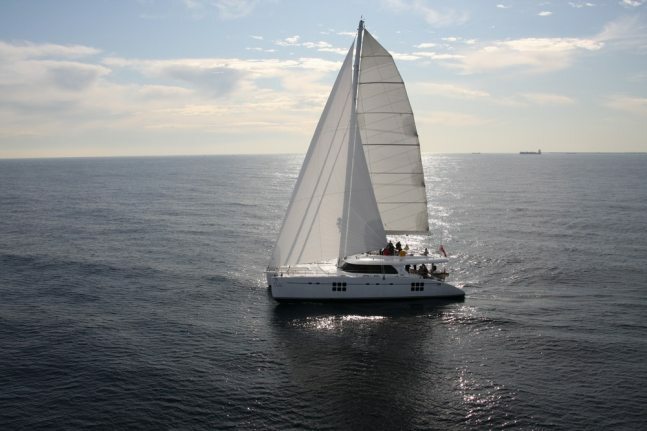 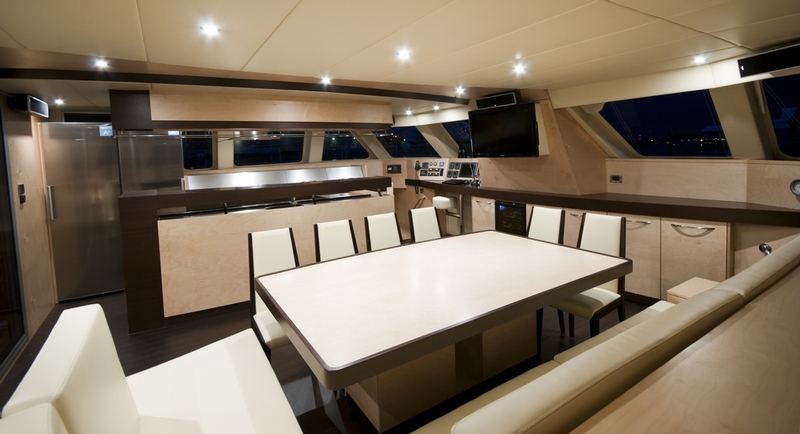 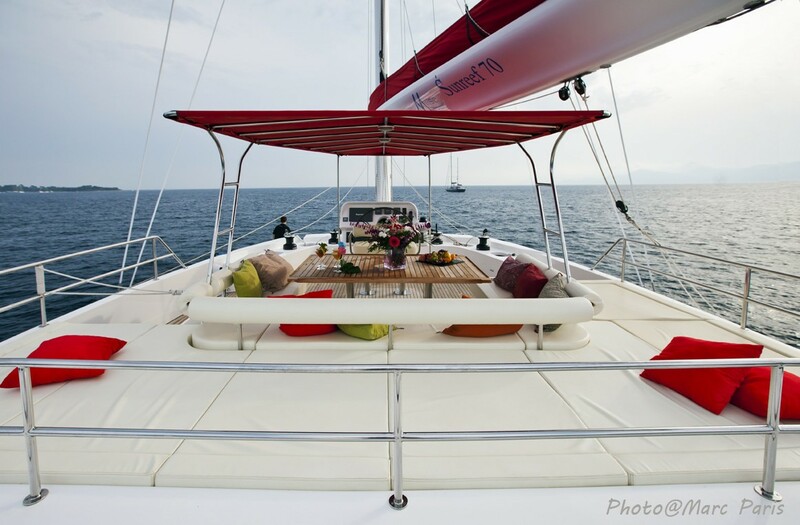 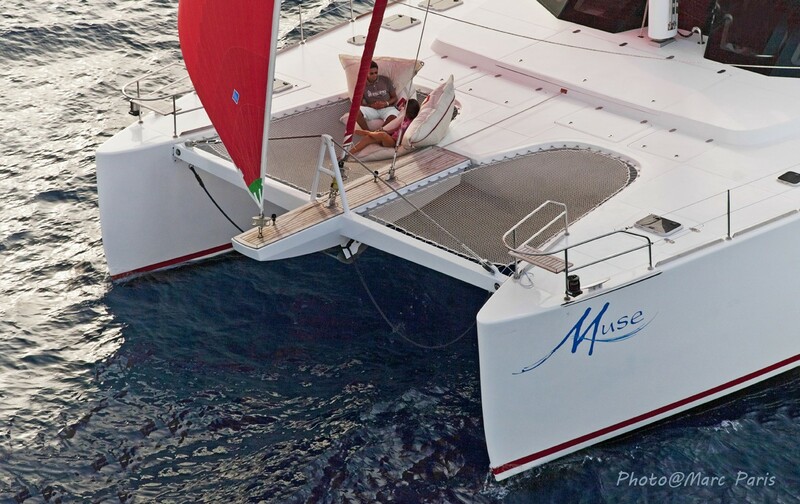 Charter Yacht Muse is a Sunreef 70 Catamaran launched in May 2011 by the acclaimed Polish shipyard. 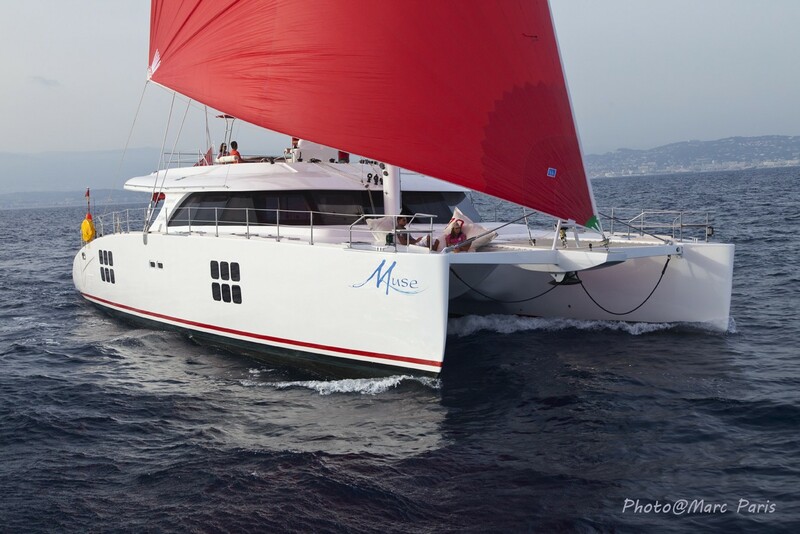 The semi-custom Sunreef 70 catamaran MUSE is a highly regarded charter yacht offering only the best in comfort, entertainment and relaxation on board. 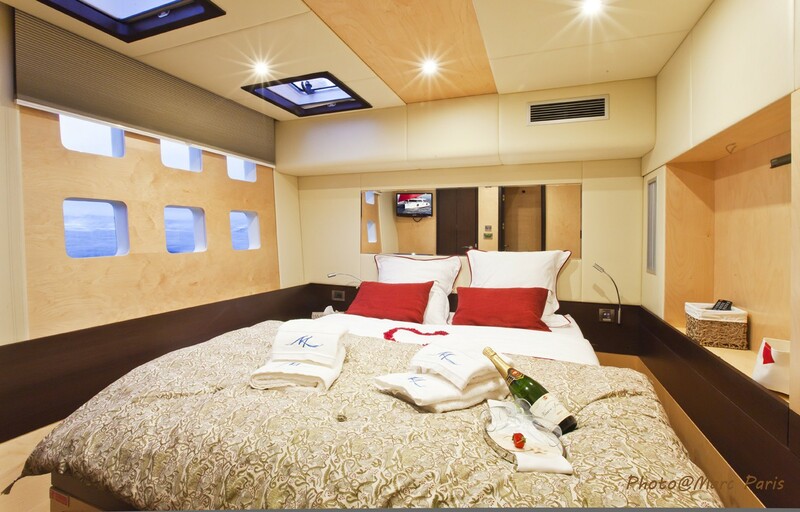 Sunreef Yacht MUSE offers accommodation to up to ten charter guests in five cabins, with extra space to sleep 2 children and has a highly qualified crew of three. 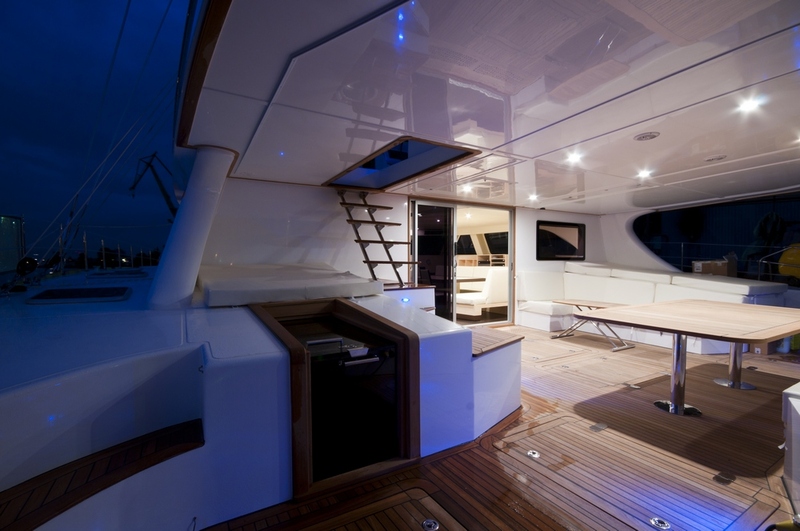 She makes for a great family charter yacht. 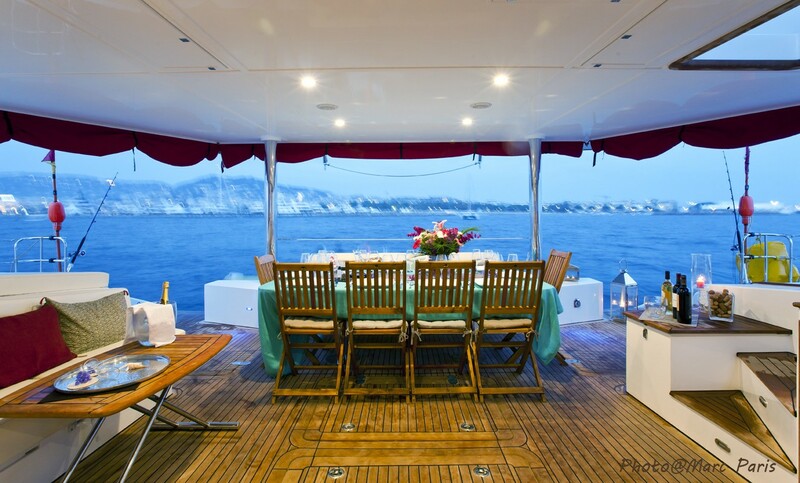 A stunning combination of classic and modern and a spacious layout are some of the features of this excellent charter yacht MUSE. 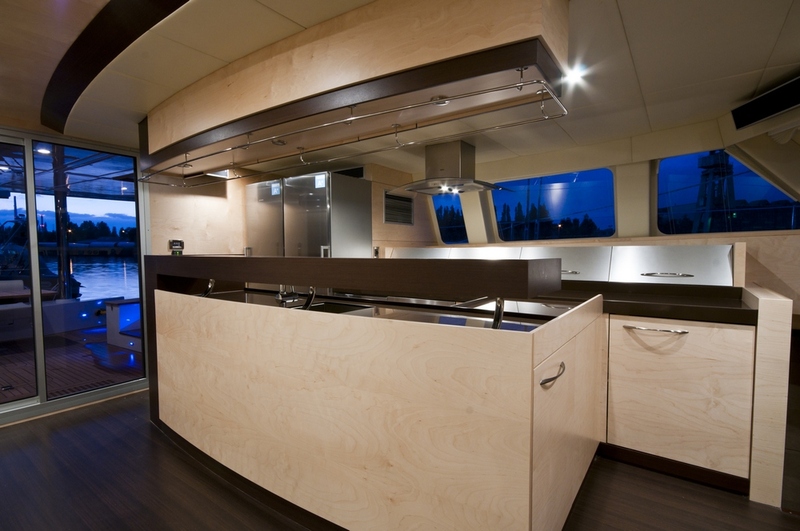 Furthermore her elegant interior boasts Finnish birch and exotic wengé. 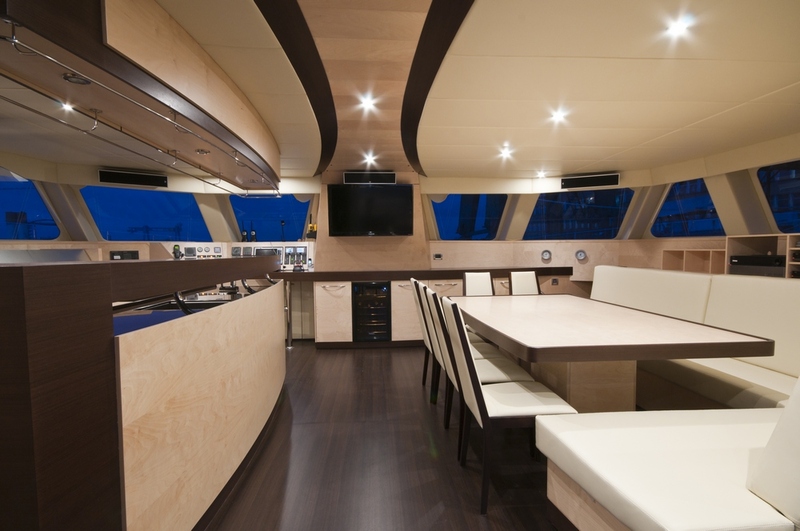 The harmonious light and dark wood interior is complemented by creamy, soft upholstery. 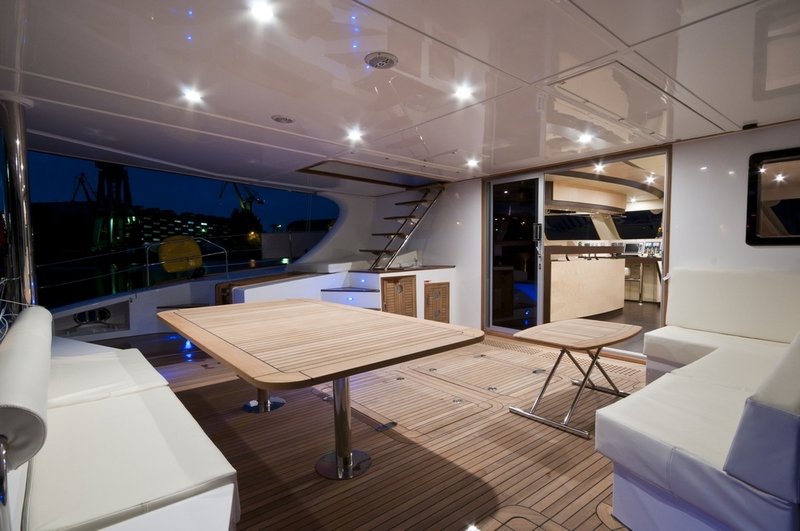 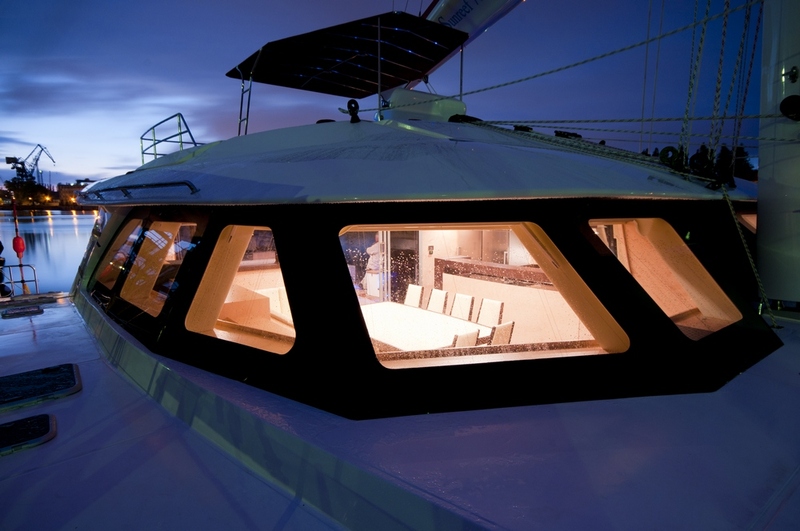 Her huge full-beam flybridge as well as the spacious deck, offer stunning and unforgettable views. 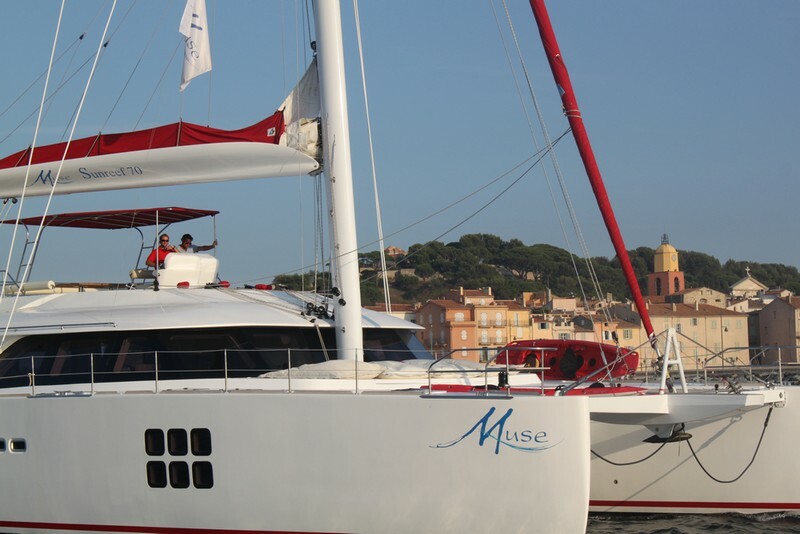 Unlimited entertainment on board of the S/Y Muse is guaranteed by a plasma TV, DVDs and a Wii station as well as a semi-rigid 75 hp tender, sailing dinghy, kayaks, adult and child water skis, a wakeboard and snorkelling gear. 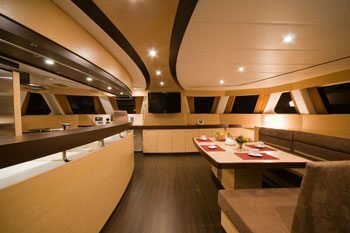 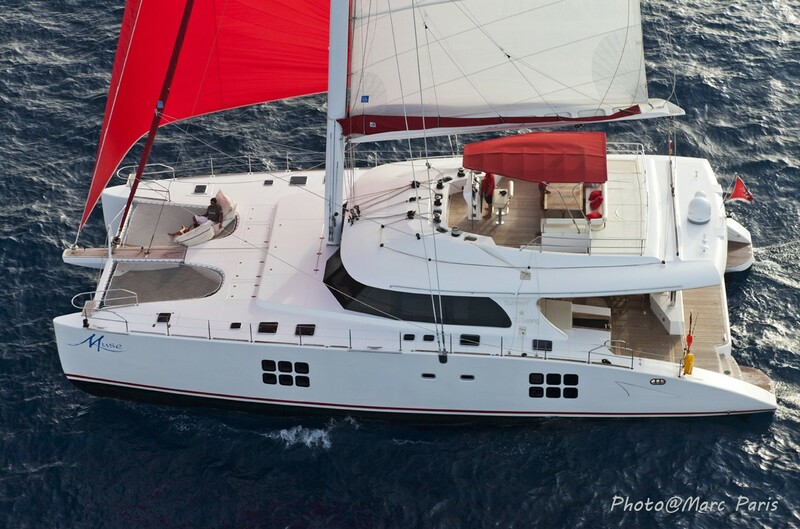 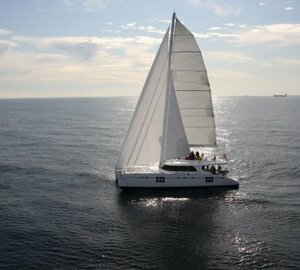 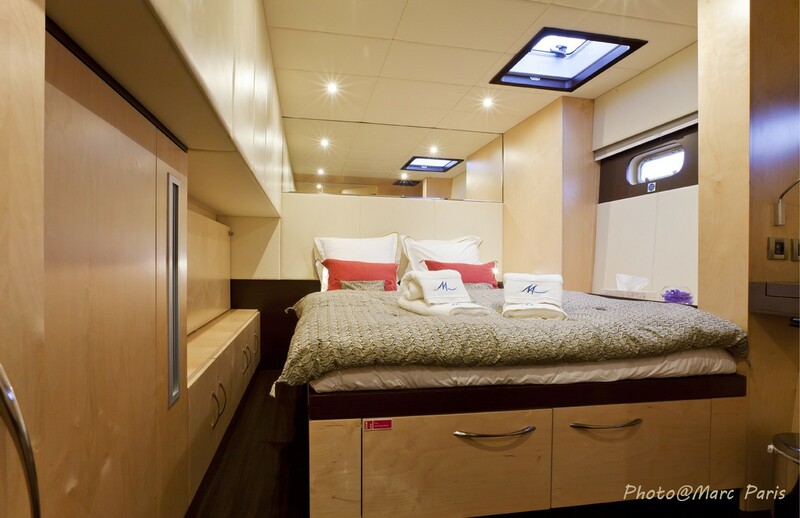 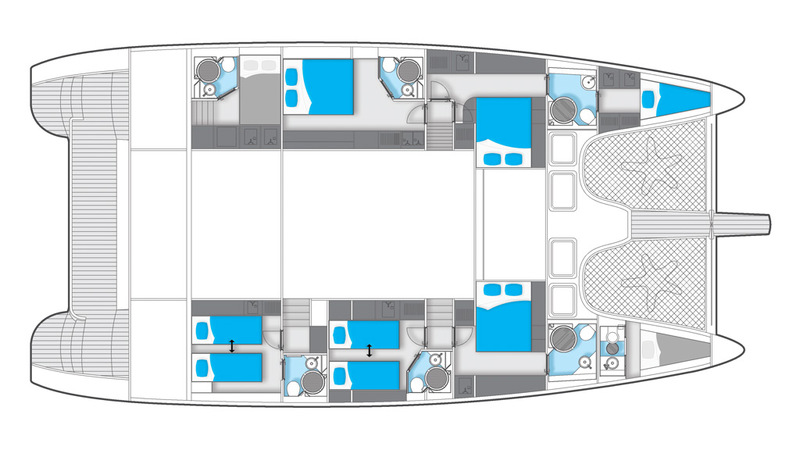 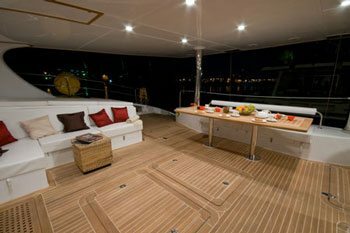 The 2011 charter catamaran Muse measures 70 ft in LOA, has a beam of 33 ft, draft of 5 feet and her cruising speed is 12 knots. 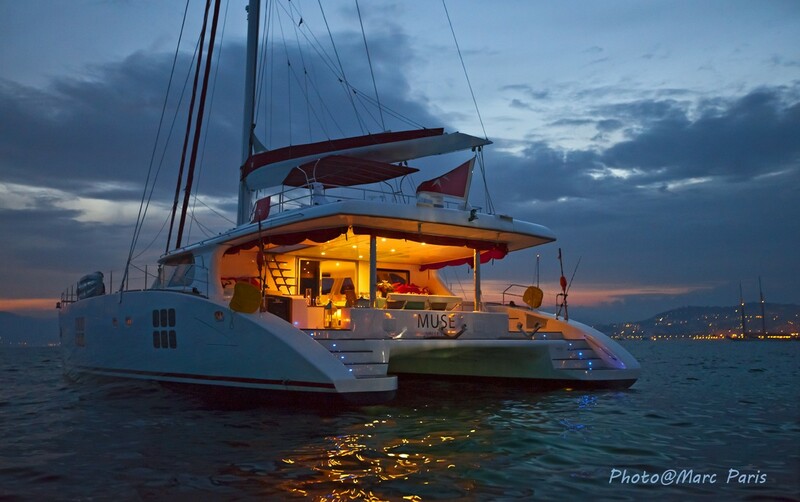 Sunreef Yacht MUSE offers accommodation to up to ten charter guests in five cabins, with extra space to sleep 2 children and has a highly qualified crew of three.